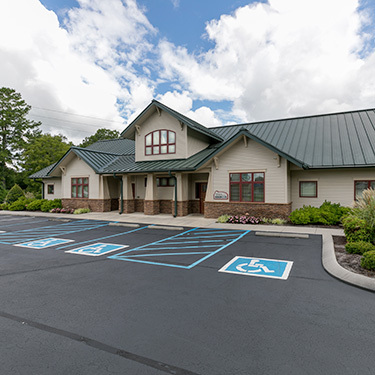 Dr. Charles Pray began his chiropractic practice in 1995 in the Rossville and Fort Oglethorpe areas and then in 2010, build a state of the art facility in Ringgold. Pray Chiropractic has been at the Ringgold location since 2010 and our new Dalton location opened in February, 2018. We serve all ages and stages of life in our community. There are several doctors on our staff that all provide the same level of excellent care using precise chiropractic techniques and supportive therapies such as laser, ultrasound, electro-muscle stimulation, traction and spinal decompression. Our greatest priority is making sure that you’re satisfied with the results you get from our care. After all, our patients seek our help by hearing the success stories of their friends and family. One such story involved a woman who needed the help of a walker to get to the adjusting room. When she left, she was carrying the walker, much to the surprise of everyone in the reception room! No matter what your goals are, we would love the opportunity to help you reach them. ¡Hablamos Español! Contact the caring, friendly team at our chiropractic office today to arrange your appointment.